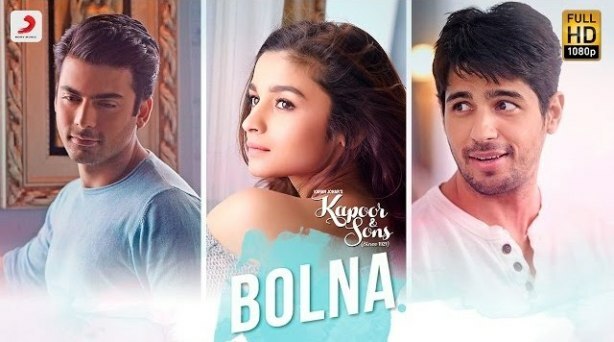 Bolna song lyrics in Hindi form movie Kapoor and Sons sung by Arijit Singh with Asees Kaur. Music composed by Tanishk Bagchi and lyrics penned by Dr. Devender Kafir. Featuring Sidharth Malhotra, Alia Bhatt and Fawad Khan.